Last Wednesday I made the trek from Exeter to Plymouth to attend a McDonalds’ blogger event. When I received an email from their PR team inviting me along, I couldn’t say no, especially as I would get the chance to make my very own Big Mac! I mean, who can say that they’ve actually cooked a Big Mac?! I’m a big McDonalds’ fan because of their stringent policy on allergens, particularly nuts and peanuts. As a nut allergy sufferer, I struggle finding safe places to eat, so I love the fact that McDonalds’ entire menu is nut-free, with the exception of promotional desserts in some instances. As a nut allergy sufferer, I feel safe eating at McDonalds and I love that, as there are very few places that I feel comfortable eating. The company is part of the anaphylaxis campaign, which means that when it comes to allergens they take safety seriously. I must admit that before I attended the event I did have certain perceptions about McDonalds and how their kitchens are run. I was under the impression that fast food meant unfresh food but I am pleased to say that’s not the case. I’m sorry to say that I thought it was just a case of popping a patty in a bun and that was it, but actually there’s a lot more to McDonalds’ food preparation than that. McDonalds is a brand that is always changing and evolving, as they are keen to stay on top of their game, that’s why they are currently updating many of their restaurants – Plymouth is one of the 800 restaurants in the UK that have now been updated. So what’s so special about the updates that McDonalds are making & what was it actually like making a Big Mac? How do you make a Big Mac? I need to admit something now, until last Wednesday I had actually never eaten a Big Mac! Shock horror! I’m more of a chicken gal and so I always normally order a Chicken Legend – you can’t beat crispy coated chicken in a wholemeal bun with fresh lettuce and cool mayo, or can you? So the Big Mac I made was actually my first ever one, and I am pleased to say that I loved it, Big Mac sauce and all. So, how do you make a Big Mac? Well, there’s more to it than popping a patty in a bun, that’s for sure. 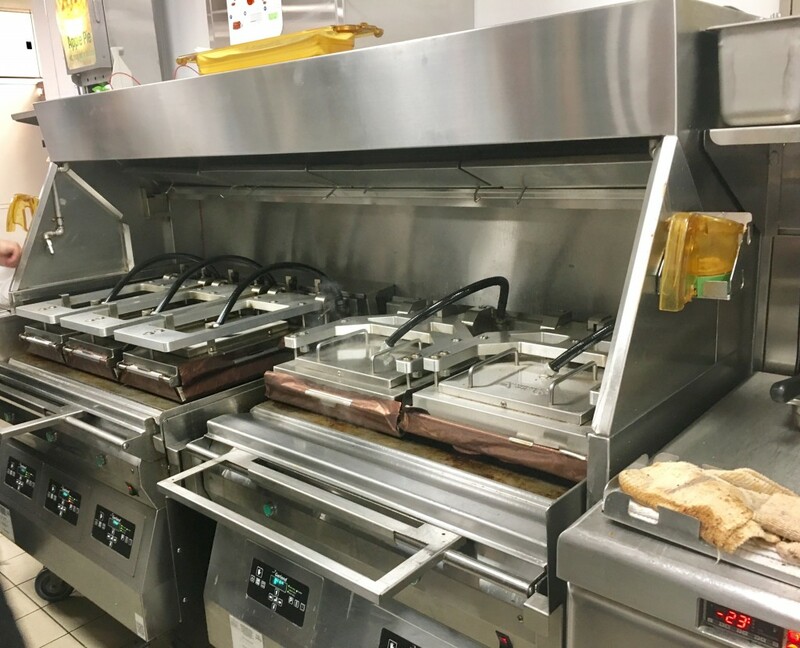 First you cook the patties on a specially designed grill that cooks both sides at the same time, then the patties are transferred to a special warm draw ready to be used – they are only kept in the draw for half an hour before being replaced with fresh ones. To make the Big Mac you place your bun in a special toasting machine, like the ones you get at hotels, and it comes out perfectly toasted! You then squirt Big Mac sauce onto the bun, add you lettuce, a slice of cheese, and your pickles before adding the patties and putting the burger together in a Big Mac box. I love the fact that all Big Macs (and all McDonalds’ food in general) is made fresh. Before I attended the event I didn’t realise that. 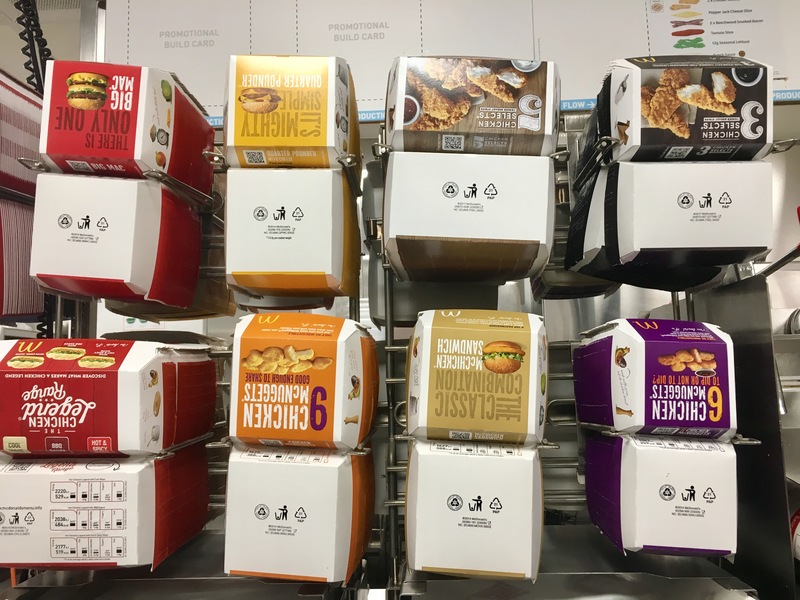 The aim of the event was to show bloggers how the McDonalds’ stores are being redesigned to focus on customer experience through digitisation. So, what’s new? 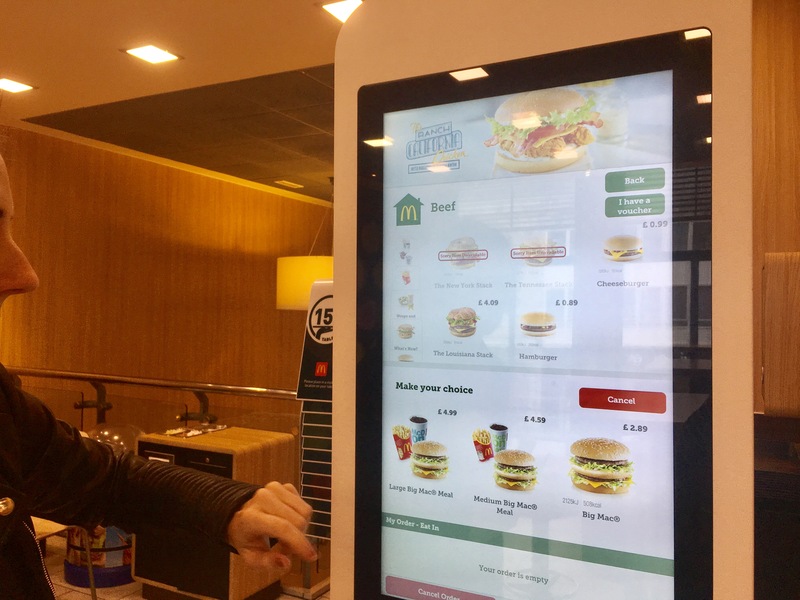 Self service kiosks: I love the self-service kiosks because they are so simple to use and help to streamline the process of ordering your food. For those days when you are in a rush and don’t want to queue, these kiosks are perfect. All you have to do is tap in your order to an interactive screen, customising your food as you go – what could be easier than that? You can add on extras and remove parts of meals that you don’t want, such as the pickles from your Big Mac. The kiosks can be used in a range of languages, making them a good option for people visiting the UK from abroad. The level of the screens can be lowered, making them ideal for children or people in wheelchairs. Tablets on tables: As part of McDonalds’ digitisation, they now have tablets attached to their tables. This is such a fantastic concept and a great way to keep diners entertained. These tables are ready stocked with a range of games and activities for diners of all ages, as well as having menus and allergen lists installed on them. They are also child safe, which means that they have safety filters on to stop little ones accidentally going online and seeing anything that they shouldn’t do. Table service: In all of their updated stores, McDonalds now offer table service – how cool is that?! When you order your food from a self service kiosk, you can decide whether to wait and collect it or have someone bring it over – this is a service that is ideal when you have a lot of shopping or a little one in tow. You place your order, make payment, and then select whether you want to collect your food or have it delivered to your table. I personally think that having table service on offer just shows how dedicated McDonalds is to meeting the needs of their customers. Revolutionary kitchen: McDonalds is fast-paced, there’s no doubt about that. When you are running such a fast-paced place, the kitchen has to run seamlessly with their production line and kitchen perfectly designed to make the preparation of food as efficient as possible. 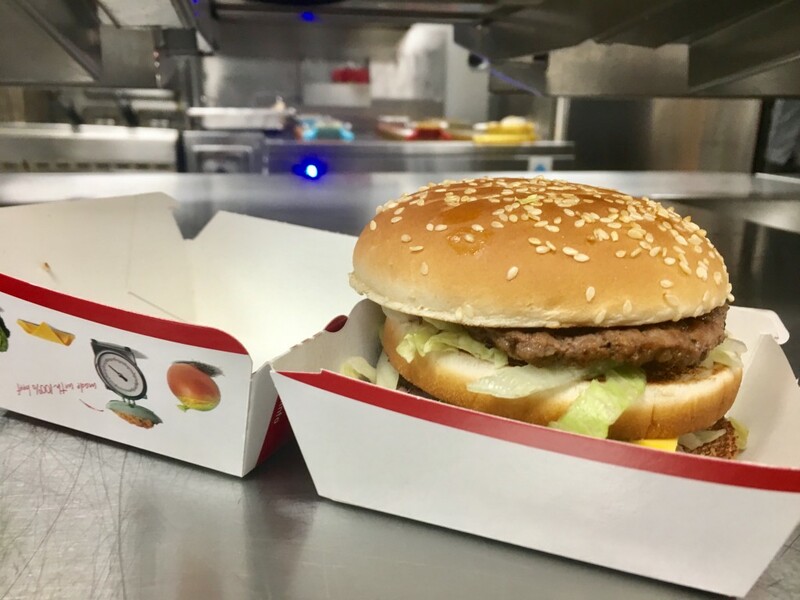 Take the Big Mac for instance, from the bun and the salad to the patties and box, everything is lined up in order, to help make preparing food easier. Above the Big Mac station, there’s even instructions for how to make a Big Mac, so if anyone gets stuck there’s help at hand. 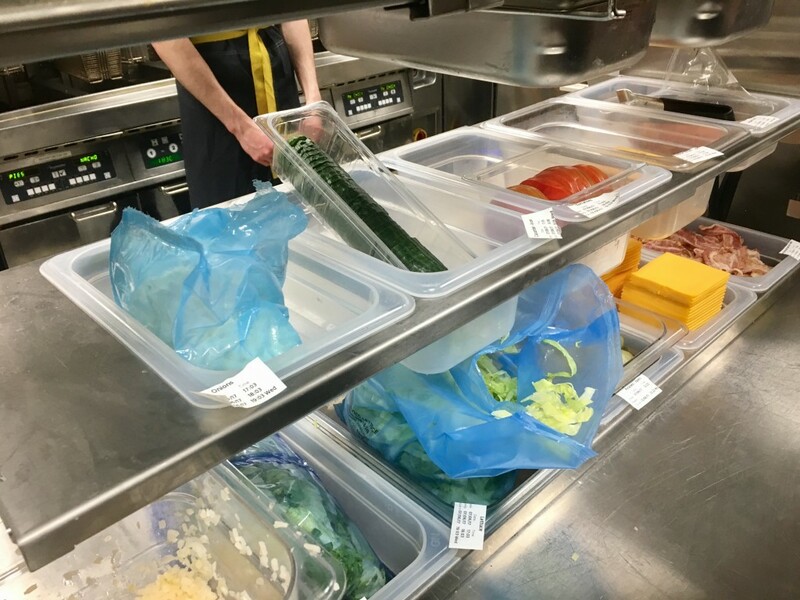 Fresh ingredients: Have you seen the McDonalds’ adverts where the mum is adamant all sorts goes into McDonalds’ food and the nutritionist shows her that actually everything is made from good-quality ingredients? Well, I can confirm that it’s true – all of McDonalds’ food is made from fresh ingredients, take the Big Mac for instance, it’s just ground beef and a little salt and pepper, that’s it. Their chicken burgers are made from 100% chicken breast meat, their fries are made from real potatoes, and I can confirm that they use fresh eggs for their breakfast items, all of which are cracked and cooked on-site. Going behind the scenes at McDonalds certainly was an eye opening experience. I realised that not only are McDonalds’ kitchens efficiently run, but that they are also spotlessly clean. I learnt that the food McDonalds sell is made from fresh and natural ingredients, and is all made to order. I also found out the McDonalds do a lot for the community, such as sponsoring youth sports teams. I really was impressed with what I saw, that’s for sure. 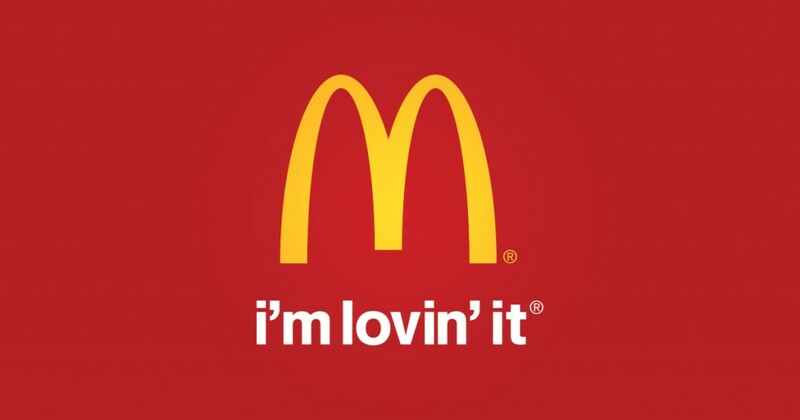 For further information about McDonalds and what’s on offer, visit their website.